A group of Dauphin County Democrats gathered in Harrisburg to watch the election results come in. Tuesday night saw some big wins for Democrats around the country--but Pennsylvania's elections were mostly lower-profile, and ended with more of a political mixed bag. Onlookers in the commonwealth say they're already ahead looking to 2018. 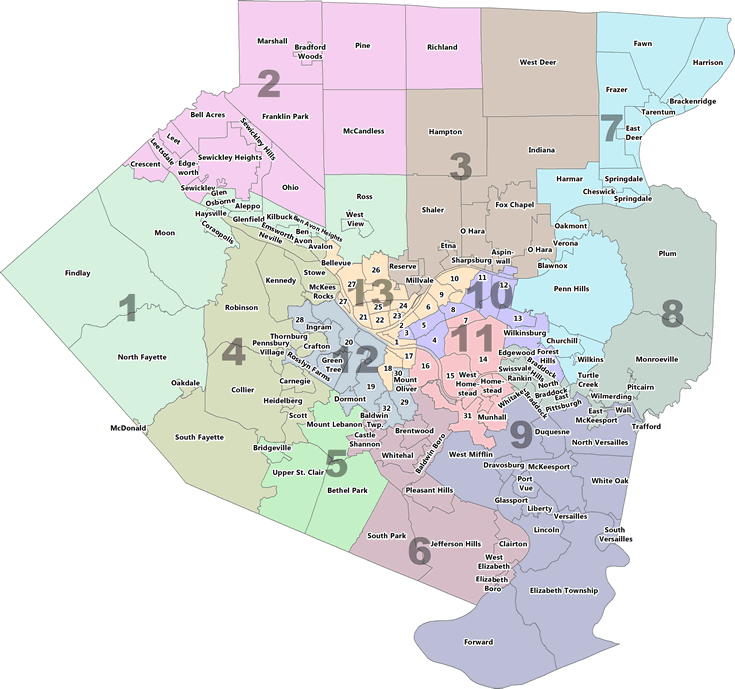 The commonwealth's top-of-the-ticket race was for a term on the Pennsylvania Supreme Court, between Republican interim justice Sallie Mundy and Democratic family court judge Dwayne Woodruff, who's also a former Pittsburgh Steeler. Mundy, who outstripped Woodruff in fundraising and endorsements, won the seat. 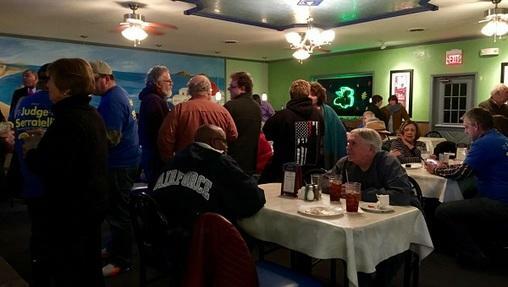 Alex Reber, a Dauphin County Democratic official who spent election night at a Harrisburg watch party, said that doesn't necessarily signify anything about Democrats' prospects in future state elections. "Sallie Mundy was endorsed by a lot of unions, so when they're backing the Republican--I don't think that's a good test," he said. Also at the party was Tony Spagnolo, 90, who narrowly lost a Township Commissioner bid. He said he's taking Democrats' gubernatorial wins in New Jersey and Virginia as good signs. "President Trump tweeted that he didn't feel it had any meaning, but I feel it does," he said. "It has a lot of meaning." 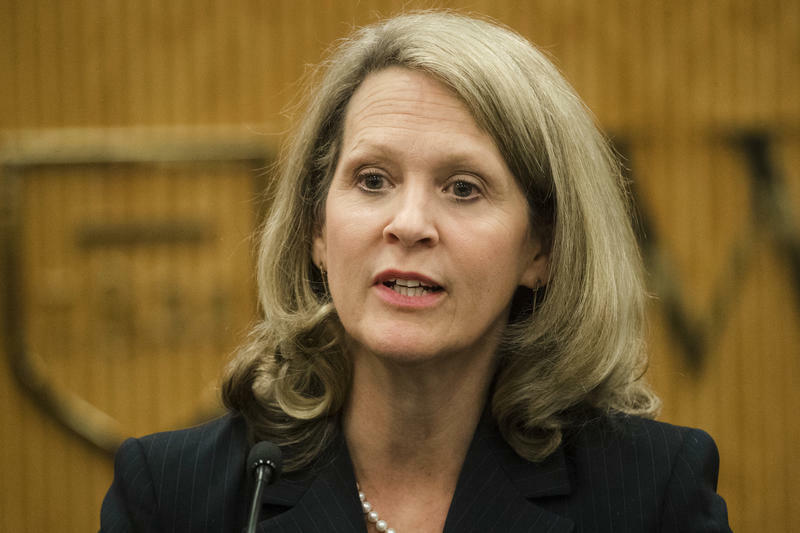 Mundy had already served on the Supreme Court after Governor Tom Wolf appointed her as an interim justice. Her election to a full term doesn't change the court's 5-to-2 Democratic advantage. The rest of the judicial races saw a mix of Republican and Democratic winners. But there was a clean sweep in one aspect of the election: a woman won every open statewide seat. Three empty Superior Court seats went to Democrats Maria McLaughlin, Debbie Kunselman, and Carolyn Nichols; the fourth went to Republican Mary Murray, who narrowly beat out fellow Republican Craig Stedman. Two seats were open on Commonwealth Court. Those went to Republican Christine Fizzano Cannon, and Democrat Ellen Ceisler. A Republican justice is keeping her seat on Pennsylvania's highest court, earning a 10-term after being appointed last year. Justice Sallie Mundy held off Allegheny County Judge Dwayne Woodruff on Tuesday in what was the most closely watched race in the off-year election. Woodruff is a former Pittsburgh Steeler. The result means the court's partisan balance remains five Democrats and two Republicans. Two other justices won up-or-down retention contests. Two Allegheny County races were very tight on Tuesday night, while the other two were easy victories for incumbent candidates. 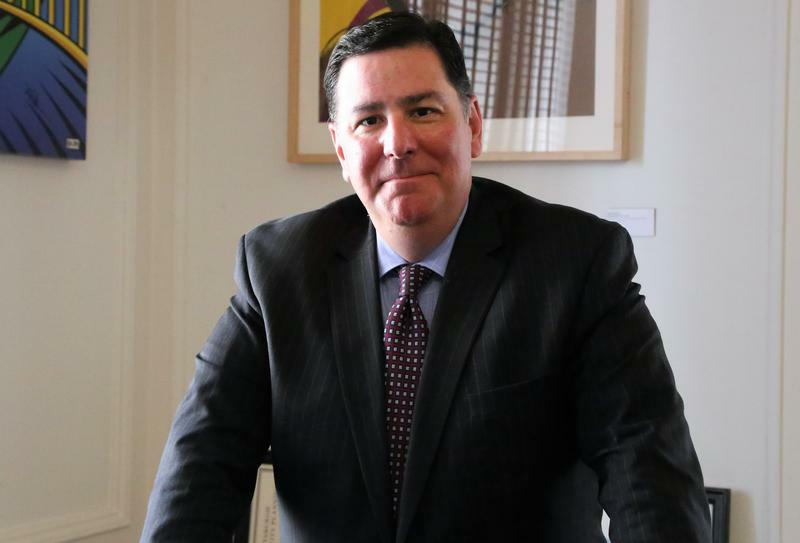 Mayor Bill Peduto will serve a second term for Pittsburgh after coasting to victory in an unopposed general election. With 100 percent of precincts reporting, he had taken 96 percent of the vote, with four percent going to write-in candidates.